Amazon.com description: Product Description: Families, communities, and societies influence children's learning and development in many ways. This is the first handbook devoted to the understanding of the nature of environments in child development. 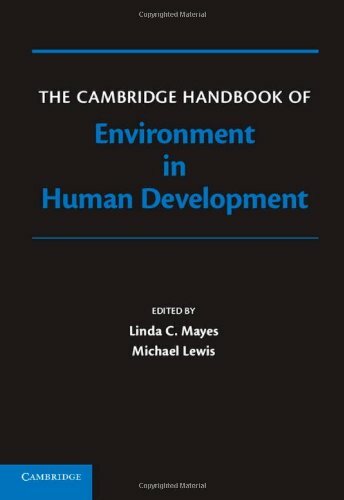 Utilizing Urie Bronfenbrenner's idea of embedded environments, this volume looks at environments from the immediate environment of the family (including fathers, siblings, grandparents, and day-care personnel) to the larger environment including schools, neighborhoods, geographic regions, countries, and cultures. Understanding these embedded environments and the ways in which they interact is necessary to understand development.